About Us This web site is owned and operated by BRE Limited who are completely dedicated to your total satisfaction. If you have any suggestions or comments or if you need to contact us, please email us using the link on the store page or use the details below. We accept Visa and MasterCard, and also accept payments via PayPal. 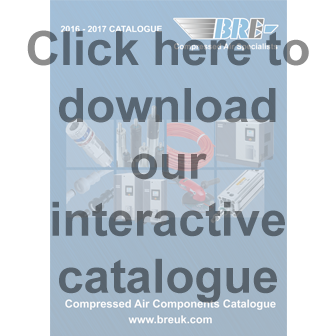 We can only accept orders, and deliver goods, within the United Kingdom via our online site Compressed Air Online. If you are based outwith the United Kingdom, or require delivery of goods to an address outwith the United Kingdom, please call us on freephone 0800 056 59 29, or e-mail us on info@compressedaironline.co.uk, and we can make arrangements to process your order through our main office. Some of our deliveries are sent out by Royal Mail Special Delivery. Please note: We can only accept orders, and deliver goods, within the United Kingdom via our online site Compressed Air Online. If you are based outwith the United Kingdom, or require delivery of goods to an address outwith the United Kingdom, please call us on freephone 0800 056 59 29, or e-mail us on info@compressedaironline.co.uk, and we can make arrangements to process your order through our main office. If you have any additional export documentation requirements please let us know when you email. Delivery Schedule We process your order right away. We will normally send your order to you in 2-5 business days or less. Capital equipment can be longer, please contact us for delivery times. Tax Charges For orders made within the United Kingdom, 20% VAT is added onto the cost of goods. Guarantee All of our products come with the manufacturers warranty. Returns Policy Under the United Kingdom Distance Selling Regulations 2000, you have the right to a cooling off period of 7 working days from the day after the day you receive the goods in which you can cancel the contract for the purchase of any goods from this website. A full refund will be made excluding any postage charges incurred for the return of the goods. This does not apply to business to business transactions This does not apply to goods made to your own specifications. (As long as the goods have not been used and are in their original undamaged packaging). A handling charge of up to 20% may be charged for goods that have to be returned due to the wrong goods being ordered.